compositions and capsular rare-earth metals. 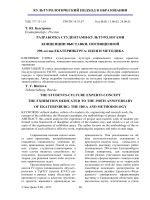 Tsvetnye metally [Nonferrous metals]. No. 1, Spets.vypusk [Special edition]. Magnitogorsk State Technical University]. 2015, no. 1, pp. 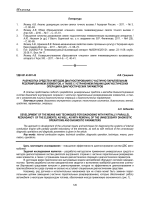 36-43.
osushchestvleniya [Plastic structuring and a plastic-structuring facility]. Patent RF, no. 2424076.
. 2015. 4. . 12–16. Magnitogorsk State Technical University]. 2015, no. 4, pp. 12–16. Park C.Y., Yang D.Y. A study of void crushing in large forgings II. Estimation of bonding efficiency by finite-element analysis // Journal of Materials Processing Technology. 1997. Vol. 72. P. 32–41.
. 2006. 5. . 27–29.
. 2006. . 1–2. . 208. Bogatov Alexander Alexandrovich – D.Sc. (Eng. ), Professor, Ural Federal University named after the first President of Russia B.N.Yeltsin, Ekaterinburg, Russia. Phone: +7(343)375-4437. E-mail: omd@urfu.ru. Nukhov Danis Shamilyevich – Research Assistant, Ural Federal University named after the first President of Russia B.N.Yeltsin, Ekaterinburg, Russia. Phone: +7(950)198-9646. E-mail: danis_nuchov@mail.ru. stretching; stamp; reduction of a workpiece. tool]. Application no. 2014135430 RF. 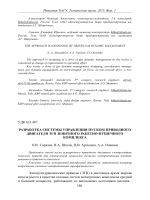 Segal V.M., Reznikov V. I., Drobyshevski A. E., Kopylov V. I.
plasticheskogo strukturoobrazovanija [Plastic structuring processes]. 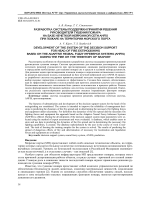 Minsk: Nauka i tekhnika, 1994, 232 p.
Estimation of bonding efficiency by finite-element analysis. Processing Technology]. 1997, no. 72, pp. 32–41. Kotelkin A.V., Petrov V.A. Kombinirovannyj bojki [Combined]. A.S.
instrument [Blacksmith tool]. A.S. 442878 USSR. Tyurin V.A. Innovative blacksmith technologies. Kuznechnoshtampovochnoe proizvodstvo [Die forging]. 2006, no .5. pp. 27-29. Bogatov A.A. Mehanicheskie svojstva i modeli razrushenija metalla. failure. Academic aid]. 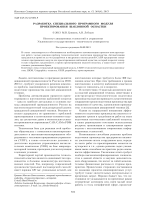 Ekaterinburg: UGTU-UPI, 2002, 328 p.
structure and properties of hypereutectic aluminium-silicon alloys. Metallovedenie i termicheskaja obrabotka metallov [Metal Science and thermal metal processing]. 2004, no. 9, pp. 7-13.
implementation of production technology of tubings from cast sections. Chernye metally [Ferrous Metals]. 2012, march, pp.18-21. alloys through severe plastic deformations. Rossijskie nanotehnologii [Russian nanotechnologies]. 2006, vol. 1-2, 208 p.
prokata [Rolling production]. 2015, no. 3, pp. 3-8. Bogatov A.A., Nukhov D.Sh. Scientific bases for improving efficiency of forging process under alternating deformation. blanks in mechanical engineering]. 2015, no. 3, pp. 12-17.
. 2015. 4. . 16–21. Magnitogorsk State Technical University]. 2015, no. 4, pp. 16–21.